Soon to be released … just a couple of nights to go …..
First of all, it’s from the “on final approach” FJS (Fly J Sim) 732 or 737 Classic -200 series. Jack and his team did a lot of changes based on the original model for X-Plane 10. 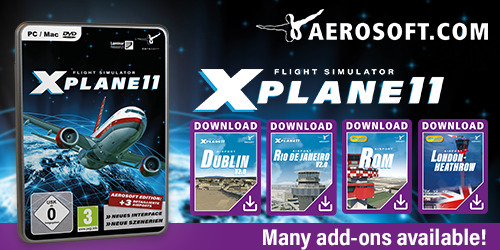 That said, the current model is fully compatible with X-Plane 11 and has a lot of new feature and improvements. The overall flight model was already extraordinary, but Jack and his team did many changes to the menu system, a reworked and improved 3D aircraft model with animated doors and stairs. Enjoy these exclusive screenshots of the upcoming FJS 732 TwinJet for X-Plane. New sound set, completely redone for FMOD. There are so many little sounds here and there that its to big of a list to list right now. Cabin fully modeled now, with cabin and cockpit doors, moving window shades and overhead bins. Lighting in the cabin is automatic or overridden with associated knobs. Added forward and aft air stairs to the plane, fully animated and with sound(note rear air stair requires AC power. Exterior and interior texture changes, including a complete PBR set for the whole plane, inside and out, and exterior textures have been upgraded to 4k. Engine and flight model tuning for XP11. It should fly better, and more correctly. New menu system UI, a fresh look for XP11. Added maintenance system like the 727 V2, but updated a bit to be easier to use. Many changes to how several system work, including bug fixes. Complete pneumatic system rewrite. Bleed, pressurization and cabin temp systems all physically based. The cabin temps change dynamically. There is now an option to use the default FMC in 3d, or you can hide or, or you can use CIVA, which works now in 11.11 but you need to still turn it on in the plugin admin till laminar fixes whatever is turning it off. But otherwise it works. There is a new contextual window on the bottom left that will display helpful messages when settings and such are changed. Added breaker panel, no simulation, just for show really. But its better then what was there before. Many items work in replay now. No longer do you need to keep engines on to see everything move in replay. You can park at a gate, turn it all off, open doors even, and then in replay it will all look right.